This is the fifth post in the series “Engineering in an Age of Limits”. We are facing limits in natural resources, particularly oil; there are limits to our finances (money seems to be increasingly disconnected from actual goods and services); and there are limits to how much we can continue dumping waste products into the air, the sea and on to land. 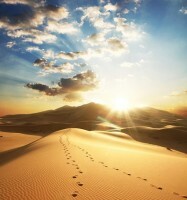 We have also, during the course of the last two years, published other blogs to do with these topics. They are listed at our Welcome page. The previous posts in this series have introduced the concept of an Age of Limits and they have discussed the development of engineering as a discipline. In future posts we will discuss how engineering is likely to change in the face of the transition we are entering and how engineers can assist with that transition. Obviously this is a journey — no one knows all the answers, or even what the questions are. So I thought that I would talk a little bit about the start of my my own journey and share a few thoughts as to why I find the topic both interesting and important. I cannot point to a single personal “ah ha” moment when “I got it” — a moment when it became clear to me that infinite growth on a finite plant won’t happen. My understanding has developed gradually, and in fits and starts. Like most engineers, I have confidence in technology and the general concept of “progress”. But that confidence was shaken by the Fukushima-Daiichi catastrophe that occurred in the year 2010. After that event I recall reading a comment that, “It will take more energy to clean up the waste left by nuclear power plants than they generated in the entirety of their lifetimes”. I don’t know if this statement is literally true, but it is thought-provoking; in order to reap the short-term benefits of our actions, in this case the electricity from nuclear power plants, we leave enormous messes for our children and grandchildren to clean up. 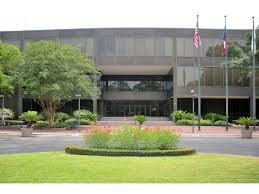 About twenty years ago I decided to work on a Masters Degree in Literature at the University of Houston — Clear Lake. My reason for this decision was simply that it was something that I wanted to do. The degree offered no career benefit and I paid for the classes out of my own pocket. But the decision to pursue liberal arts studies was, I believe, a factor in the Age of Limits thinking that forms the theme of these blog posts. My thesis was to do with societal changes caused by new technology. The theme was “Literature in the Age of the Internet”. 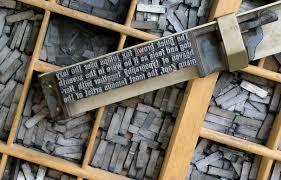 I noted that, up to the year 1439 when Johannes Gutenberg invented the moveable type printing press, text was malleable. The copying of written works was never perfect so the copies of a text would necessarily be different from the original text. But with the introduction of the printing press the concept of an “inerrant text” was introduced. Each copy of a book would be identical to the others made on the same press — errors and all. But the replacement of the letter press with electronic communications means that text is malleable once again. Person A can send an email to Person B, who then changes the original text before forwarding it to Person C. Inerrancy has disappeared. The lesson I take away from these transitions is that there is a strong interconnection between technology and social systems. Examples I have already discussed, or that I will dicuss in future posts include the need for the industrial steam engine, the horse manure crisis of the late 19th century and the abolition of slavery. My hunch is that, if engineers are to be effective in this new world then they need to be more eclectic than they are now. Two examples illustrate this point. First, even a cursory reading of history shows that societies, nations and empires can and do collapse. There is no guarantee of a brighter and better future. The second example is to do with the power of story-telling, as discussed in the posts That would be telling and How to Read and Why. When describing Newcomen’s development of a practical steam engine in Reverse Engineering and Peak Forests I noted that he actually combined many types of technology, including boiler design, gasketing for pistons and simple control systems (the operator injecting cold water into the cylinder twelve times a minute). Gutenberg exhibited the same versatility. He had to create a press (based on wine presses) that could apply high pressure to the pages, he had to develop the dies from various types of metal, including lead, antimony and tin. The letters in the press had to be able to stand up to heavy, repeated use. Finally, he had to develop an ink that was thick enough for this new invention. My guess is that engineers of the future will have to display the same versatility and adaptability. A high degree of specialization will not be valued. The next step in my Age of Limits journey was an article I read in one of the chemical engineering journals (probably Hydrocarbon Processing). Unfortunately I don’t remember the title or date of the article so I cannot give the appropriate credits. But it was probably published in the late 1980s. 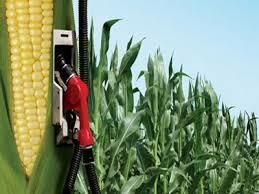 The author, a young engineer, was describing the production of ethanol as a fuel from corn (maize). He described the technology of the process and then made a first-pass calculation at the amount of energy needed to make the ethanol. Clearly he was nonplussed to find that there was very little net energy or “energy profit” in the process. It took almost as much energy (supplied mostly by oil) to make the ethanol as the ethanol provided when burned as a fuel. What he had stumbled across is the concept of Energy Returned on Energy Invested (ERoEI) or Net Energy — a concept that is well understood now and that is described in the post Nine Pounds of Gold. The lesson he taught me was that with any resource it is not enough to ask whether it exists, it is not even enough to ask if the technology exists for extracting that resource. What matters is whether that resource can be extracted profitably. With energy the question is even simpler: does the product, whether it be oil from the ground or ethanol from a factory, delivery substantially more energy than was needed to create it in the first place? If the answer is “No” then the only way that the project can move forward is by being subsidized by the government. We need X (coal, bauxite, oil, iron ore, whatever). We know how to extract X from the earth. We know how to extract X from the earth economically. The next step in my journey was the discovery of Internet articles written by Matt Simmons (1943-2010). He was head of his own successful investment company, specializing in the oil business. 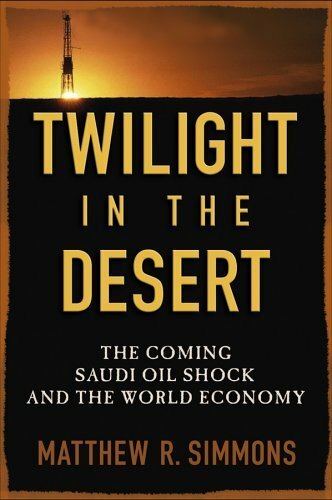 He noted that many of the major oil producing nations did not reveal information to do with their production rates, reserves or decline rates. Or, if they do publish such information, its value is questionable, not least because it is never independently audited. So he spent many weeks in the library of the Society of Petroleum Engineers located in Richardson, Texas reading about 200 technical papers to do with oil product in Saudi Arabia. He came to the conclusion that the production of oil in the kingdom was at or near its peak and that there was little spare capacity. There are many videos such as this one showing Simmons giving presentations on the topic of Peak Oil. Since his death considerably more research has gone into understanding the complexities the topic of Peak Oil but it is probably fair to say that his broad conclusions are still valid. The world’s major fields are declining quite rapidly and new sources of oil are technically challenging and much more expensive. Toward the end of his life Simmons’ credibility was hurt by some of the preposterous claims he made to do with the Macondo spill. And his predictions of $500 per barrel oil have not turned out to be even close to true (probably because he did not grasp the link between oil prices and the overall economy — if the price of oil rises too much the economy goes into recession leading to a fall in the price of oil). But he was a leader in raising awareness of the Peak Oil problem. He also exhibited an attribute which is going to be important in the future of engineering: imagination. For example, he proposed the following to a Forbes reporter. Build the world’s biggest windfarm off the windy coast of Maine (where Simmons lived). Use the electricity generated to desalinate and de-ionize sea water. Use that water, plus electricity and air, to manufacture ammonia. Pipe the ammonia to shore and use it to power a new generation of cars. Is such a project feasible? I haven’t a clue, but I like the style of thinking. We will continue with a description of my journey in understanding the Age of Limits in the next post. But already a few conclusions can be drawn. In the post Four Strands we noted that people can come to an understanding of the Age of Limits from various points of view, with resources, environment and finance being the most common. My background is mostly to do with Peak Oil. Successful engineers in the future will probably avoid over-specialization; instead they will be adaptable and able to bring different engineering skills together. It will be important to be eclectic and to have a good grasp of non-engineering skills such as literature and history. Imaginative thinking will be very important. We will continue this journey in the next post in this series.